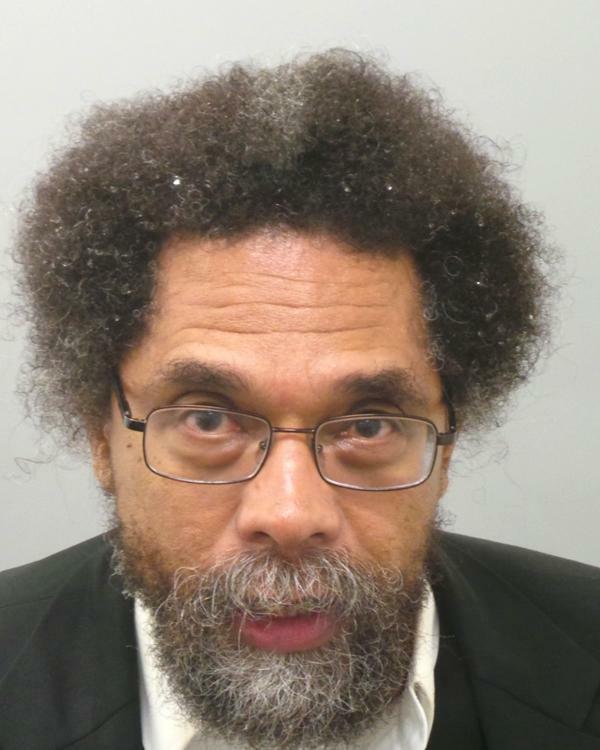 Activist/author Cornel West is seen above in a mug shot taken following his October 2014 arrest at a march protesting police shootings in the St. Louis, Missouri area. “I came here to go to jail,” the 63-year-old told fellow demonstrators during a rally. West was arrested for disturbing the peace in Ferguson, where an unarmed Michael Brown, 18, was shot to death by a police officer in August.